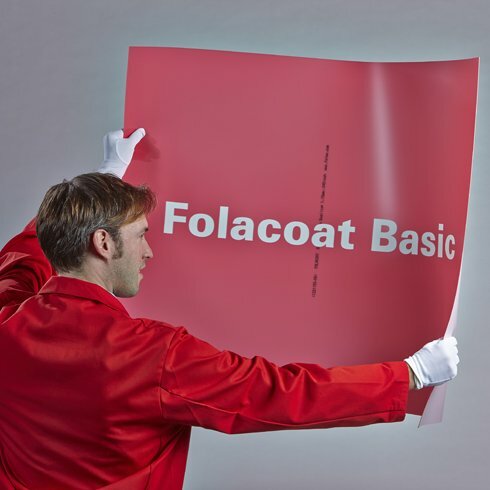 The translucent Folacoat Basic was developed for the use with water-based and UV coatings. 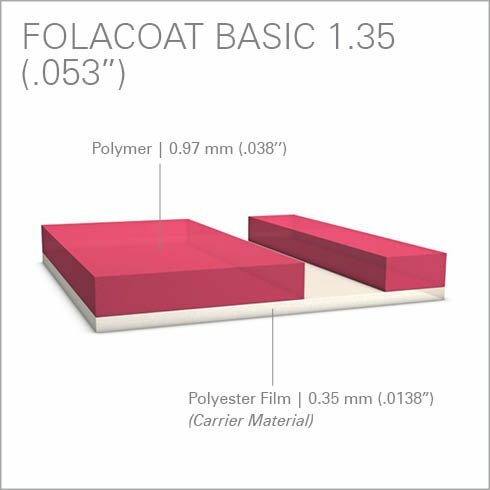 The uniform thickness profile of coating plate achieves a good coating transfer even at highest printing speeds. A single-layer polyester film is used as carrier material, which provides the necessary dimensional stability. The red-translucent polymer layer can be cut easily by hand or with a CAD-cutting system. The applied cuts are clearly visible and the unwanted polymer areas can be lifted easily. 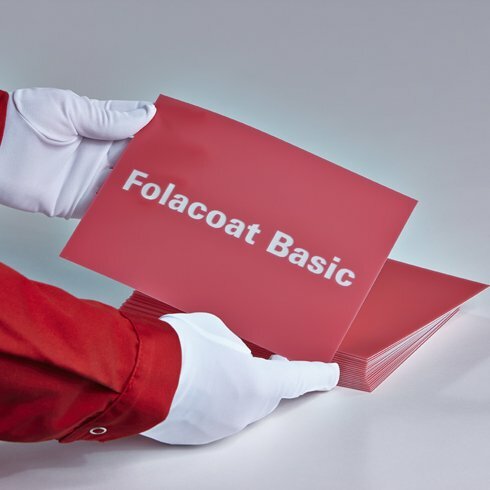 The Folacoat Basic is currently used for medium to large production runs. Additionally it will be even used in H-UV applications. The Folacoat Basic coating plate is now also available in roll-length 30m and 40m. NOMINAL THICKNESS 1.15mm: Recommended cutting depth: about 0.87 mm (.034”). Please adjust the cutting depth that the blde slightly scores into the Polyester carrier. This ensures best stripping results. Scoring to deep into the Polyester carrier will limit the service life of the plate. A constant cutting depth will be recommended. If polymer has not been cut entirely unwanted polymer lifting could happen.